A woman scaled a barbed-wire fence and ran onto the tarmac of Halifax Stanfield International Airport in Nova Scotia Sunday in an attempt to stop her husband's plane from taking off. An airport employee speaking anonymously to the Chronicle Herald said she believed her husband was on the plane and that he was leaving to visit another woman. The employee said the 37-year-old woman initially asked employees at the check-in counter to halt the plane. When they didn't comply, the determined woman found another way to try to disrupt her husband's flight plans. Around 8:30 a.m., she scaled the 10-foot fence surrounding the airfield and ran onto the tarmac. After just a few minutes, she was spotted from the air traffic control tower and detained until police arrived. All of her exertions were in vain, though, seeing that her husband was not aboard the flight, reports Yahoo News Canada. The woman hasn't been identified by police and they are not currently planning to charge her. She suffered only minor injuries from climbing over the fence and was taken to a hospital to be evaluated, said Sgt. Al LeBlanc, a spokesman for the Royal Canadian Mounted Police. "It's very unusual. I've never seen such an incident in my many years of policing," he said. 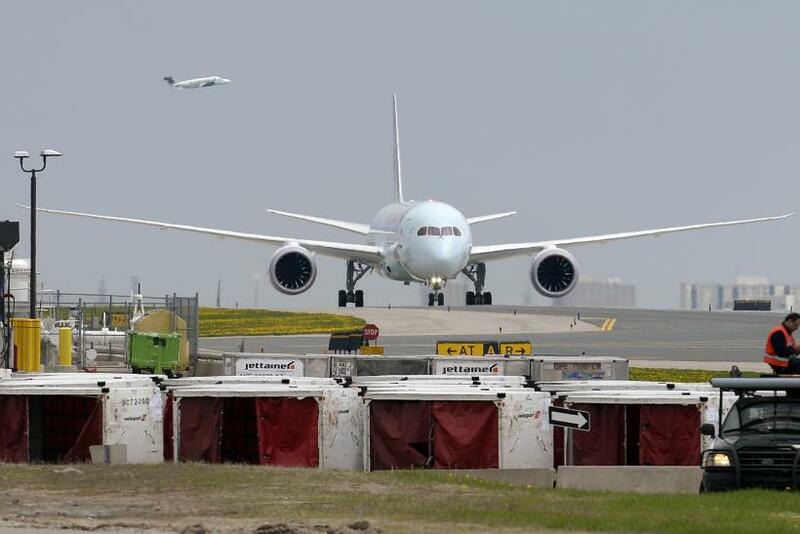 Halifax airport spokesman Peter Spurway said at a news conference that it was the only time he remembers someone successfully breaching security and running onto the airport's tarmac. Spurway added that a briefing will be held by airport staff to see if any lapses in security let the woman gain access to the airfield. “We don’t believe that there are [any gaps]. But the details of how she got over that fence will be reviewed just to see if there’s anything else we would need to do in that area to ensure the airfield is as secure as we can make it,” Spurway said. How Many Airplane Stowaways Have Survived The Trip?